Although my stay would be short in Cincinnati, I knew I could not leave town without heading north of the city to the Dayton area, where I spent several years of my childhood. After spending the morning in and around Centerville, I looked to Find Me Gluten Free for a place to stop for a quick lunch before heading back to Cincinnati. All reviews pointed to Arepas & Co in Kettering, OH, north of Centerville. Already a huge fan of any kind of South American food, I was sold when I realized gluten-free arepas and empanadas were on the menu. Although I've had the former, I have never found a safe version of the latter, so I needed no further persuasion to stop by. Why I love South American food much is that for the most part all of the specialities are corn-based, not wheat-based like most American food. Although I have to watch out for dairy, gluten is largely out of the picture. 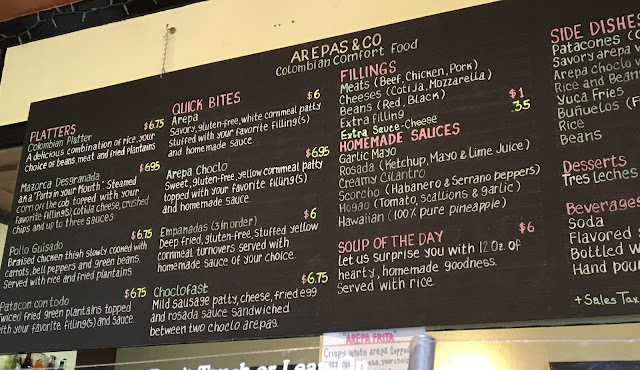 What's really cool about Arepas & Co is that the whole menu is gluten-free, sans the tres leches cake. Dairy can be avoided by skipping out on cheese. In looking over the menu, what is clear is that each creation sounds better than the next and the prices are certainly low enough to allow for a sampling of the menu. I ordered a savory arepa, stuffed with chicken and black beans. I loved the grilled texture of the arepa and the thickness of the cornmeal patty. The chicken and beans are spilling over and have to be pared down with a fork before safely picking up the arepa without the contents spilling over. The chicken is shredded and tender, spicy without being obnoxiously so. The black beans are seasoned nicely as well, but do be warned that their juice does spill out from the aluminum foil, which made for a minor mess (a delicious one at that). For two side sauces, I got the creamy cilantro and hogao, which are both safe in the gluten and dairy regard. The creamy cilantro, made with cilantro, onion, and lime was a total hit for me, as it combined three of my favorite flavors on the planet. Fresh and flavorful, I lapped up every last drop of the sauce. The hogao, made with tomato, scallions, and garlic, was just as flavorful, but did not hit my taste buds as favorably as the other sauce. 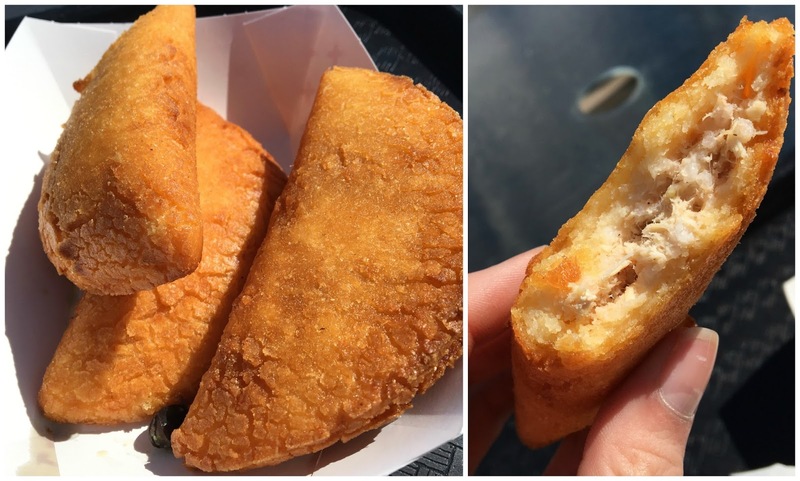 Because I couldn't pass up empanadas, I went ahead and placed an order for the chicken variety, which comes with three. Fried in a dedicated fryer, they were golden brown and at the perfect point where they were crunchy on the outside but soft on the inside. The tender shredded chicken was delicious, but I wish I had saved some of the creamy cilantro sauce to slather on them. While I normally avoid fried foods, this was such a guilty pleasure that I enjoyed every golden-fried, not too greasy bite. 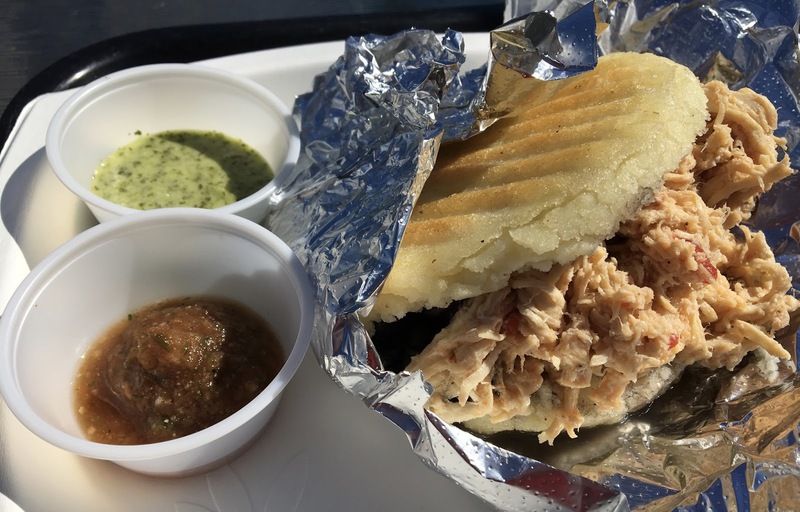 Arepas & Co is definitely a foodie find. While you definitely have to search them out, it's worth every gluten-free bite to find safe, delicious Columbian comfort food- and Arepa & Co does it darn well. You can find them in the Kettering location, as well as two locations in Downtown Dayton. 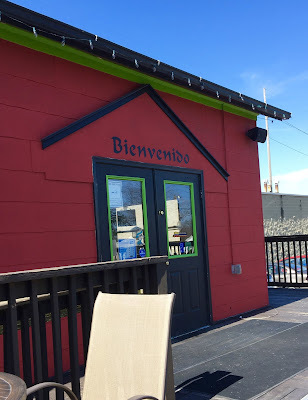 While I don't know when I'll be next in the area, I will definitely make a point of stopping by for arepas and empanadas. It's foodie finds like this that make traveling outside my native Baltimore so rewarding! I used to live in Dayton and love this place so much!!! !